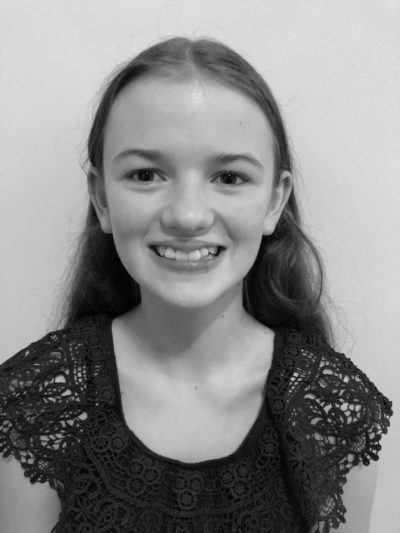 Sophie is a 6th grader who loves singing & playing the violin. She has been in High School Musical 2 and The Little Mermaid with CCTA and Seussical and Charlie and the Chocolate Factory at Camp Encore/Coda. Gypsy is her second show at Toby’s – she was Zuzu in the 2015 production of It’s a Wonderful Life. She is thrilled to play the role of Baby Louise!